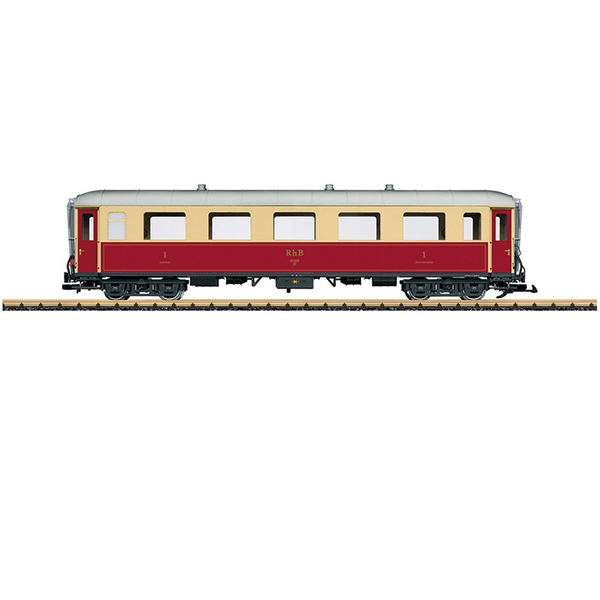 This is a model of the RhB type As parlor car, car number 1161. The paint and lettering are prototypical for Era V, and the car looks as it did in Era V in use on the Rhaetian Railroad. The car has many separately applied details, and the doors can be opened. The car has a complete finely detailed interior. It also has factory-installed interior lighting. The car has metal wheel sets. Length over the couplers 66 cm / 26".